ust a quick post on a few Coastal Christmas decorations. This home is located on the water in Savannah, Georgia. How wonderful to enjoy the ocean from your front porch. I can already smell the salty air! 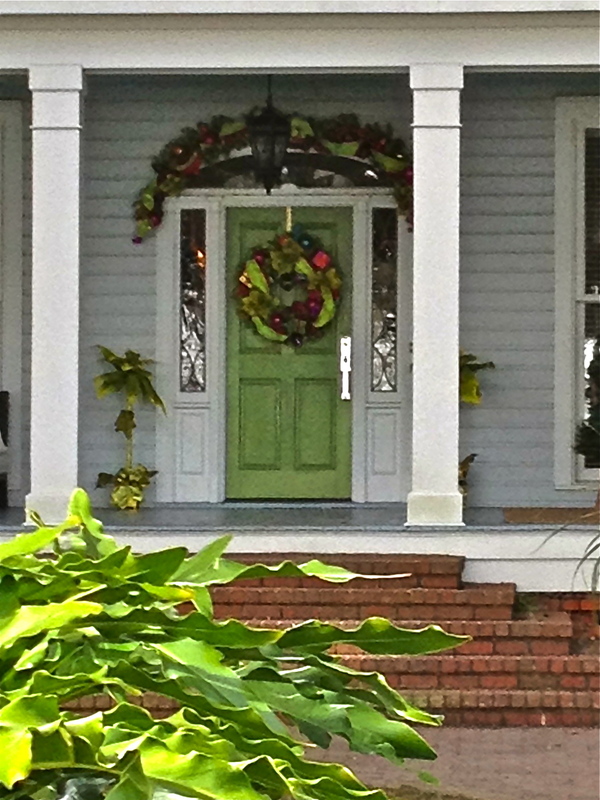 This creative homeowner has even decorated the Live Oaks in true coastal style. Imagine the live moss as tinsel hanging on a very large Christmas tree. 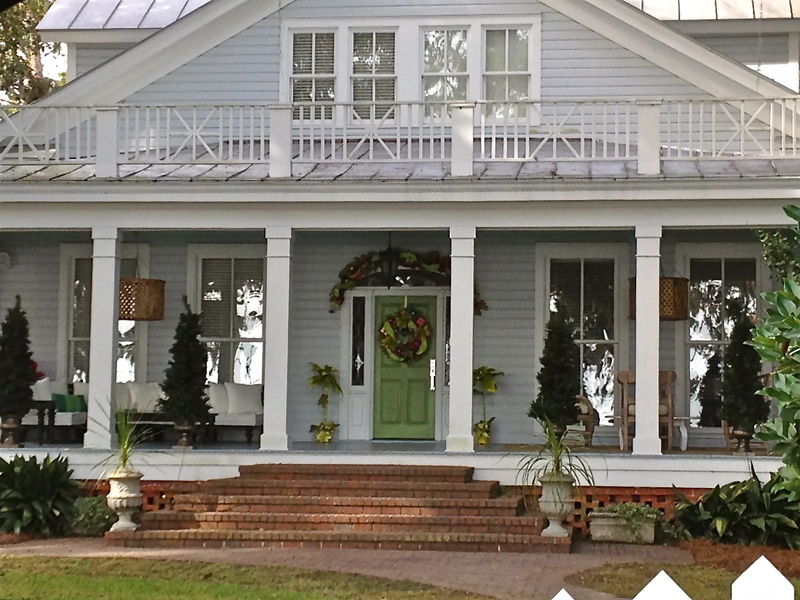 Coastal Christmas is at its very best in Savannah, Georgia. 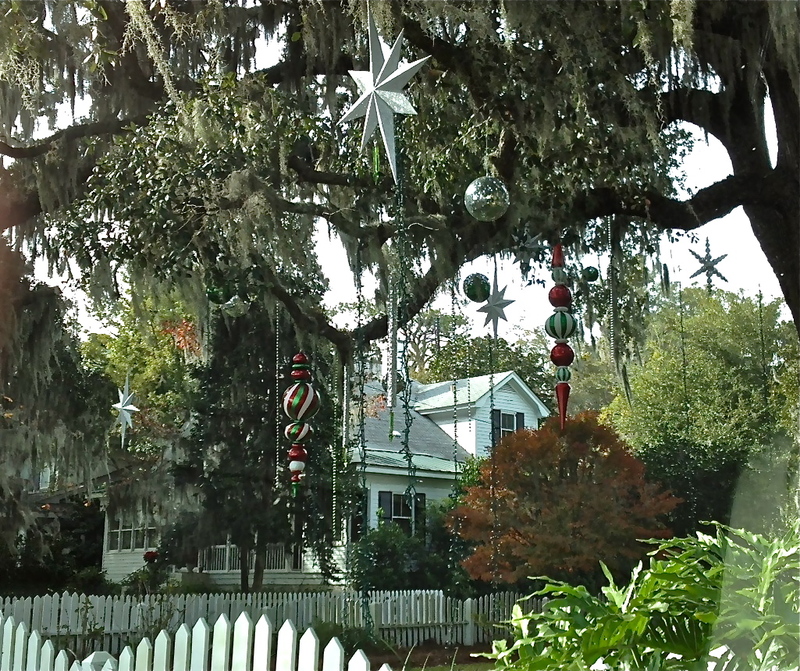 brilliant decorating of those live oaks. Hey wait, is it snowing on your blog?! Jennifer, it is snowing in Georgia! Thank you so very much for the follow!